The 28-year-old enjoyed a four-year spell in Dingwall between 2008 and 2012. 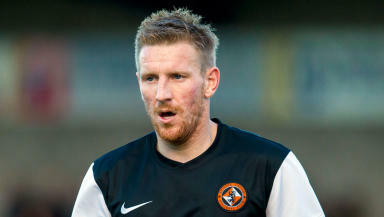 Michael Gardyne has returned to Ross County on a loan deal from Dundee United until January. Gardyne enjoyed a four-year spell with the Staggies between 2008 and 2012, helping the club win promotion to the top flight in 2011/12. The 28-year-old signed for his boyhood side United but made 37 appearances in his first season. A season-long loan spell with Kilmarnock followed last term as he scored once in 23 matches. Jackie McNamara was keen to allow the attacker to gain first-team football elsewhere and he has now opted for a move to Dingwall. County are currently without a manager following the departure of Derek Adams last week.